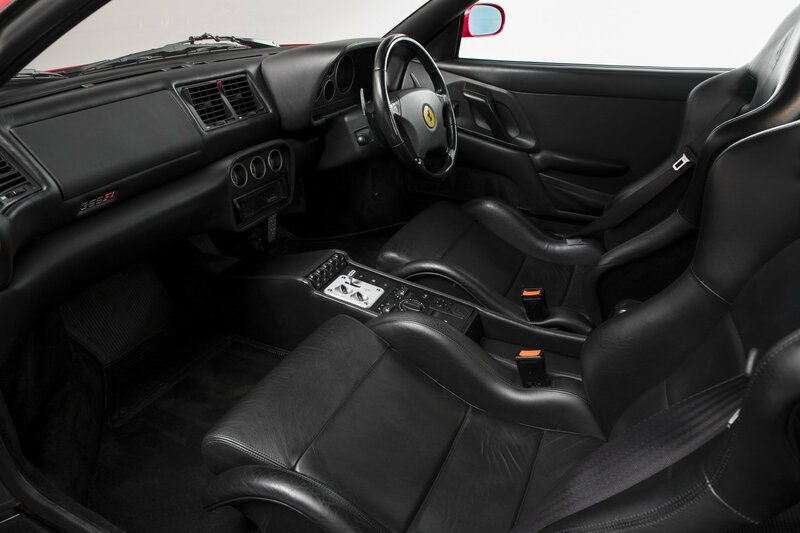 FACTORY SPECIFCATIONS INCLUDE :- CARBON SPORTS SEATS, LEATHER INTERIOR, AIR CONDITIONING, CENTRAL LOCKING, ELECTRIC WINDOWS. SCUDERIA SHIELDS TO FRONT WINGS FITTED. 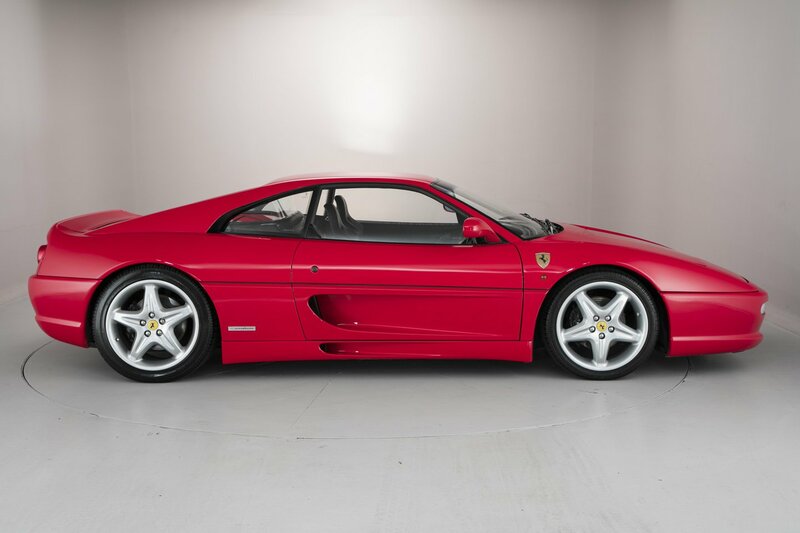 This 355 Berlinetta looks quite stunning in its classic Ferrari colours, and benefits from a complete service history. 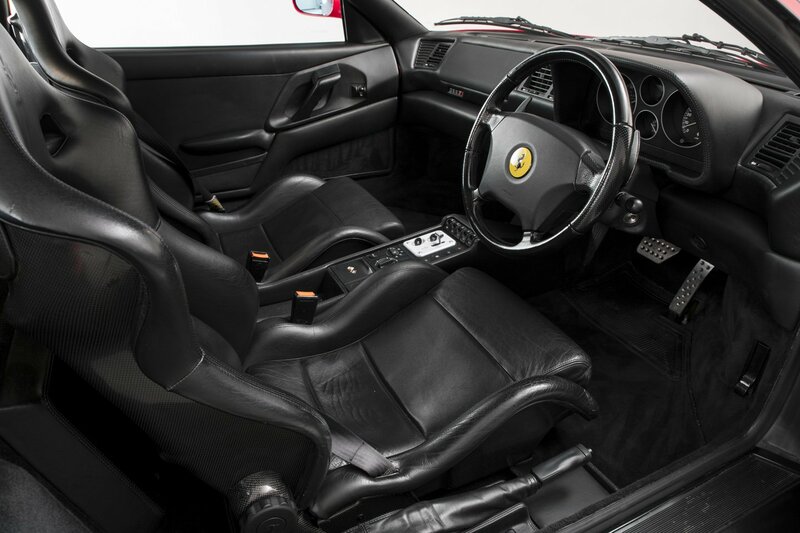 The 355 Berlinetta was introduced in May 1994, as the first in a successful series of F355 models. 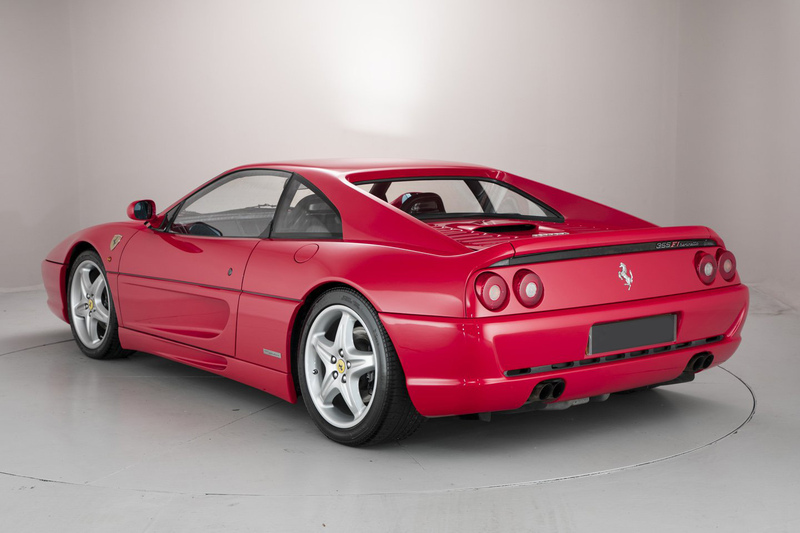 The F355 was the last in the series of mid-engined Ferraris with the Flying Buttress rear window, a lineage going back to the 1965 Dino 206 GT. 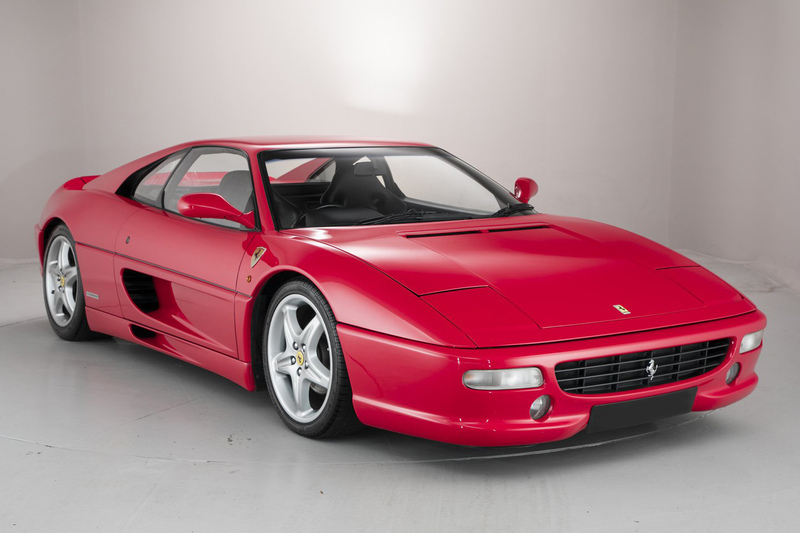 Apart from the displacement increase from 3.400 cc to 3,500 cc, the major difference between the V8 engine in the 348 and F355 is the introduction of a 5-valve cylinder head. 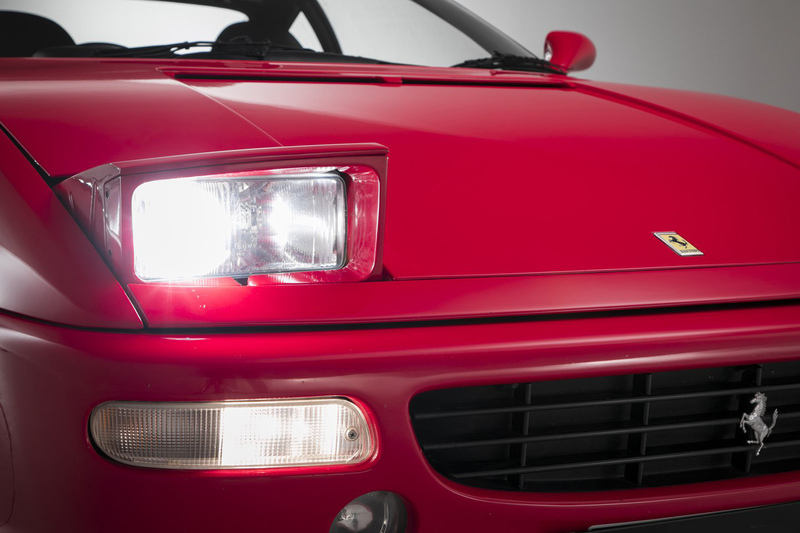 This new head design allowed for better intake permeability and resulted in an engine that was considerably more powerful, producing 380 PS (279 kW; 375 hp), 268 pound/feet of torque. 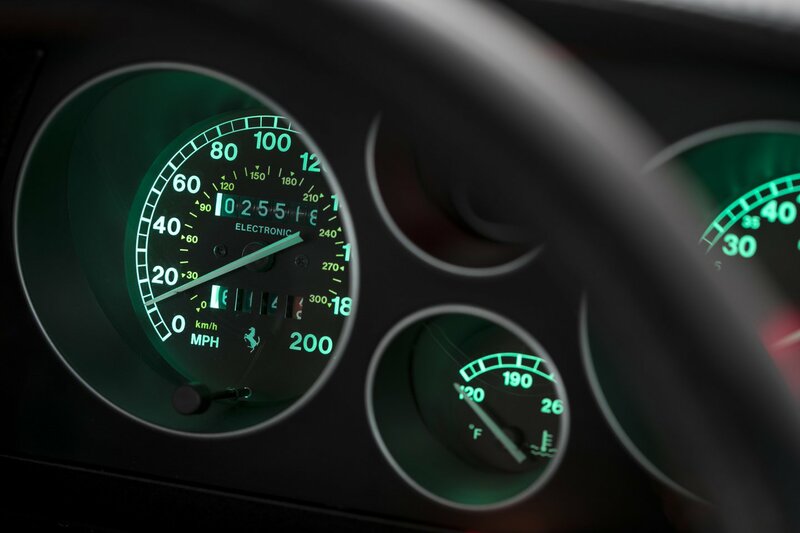 This produced performance figures of 0-62mph in 4.7 seconds and a top speed of 183mph. 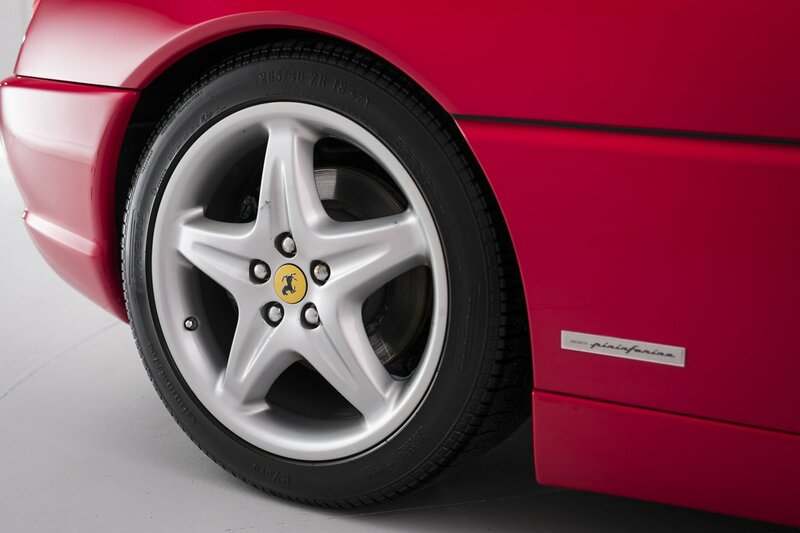 These Ferraris are now extremely popular with collectors of modern classics, largely due to their beautiful looks. 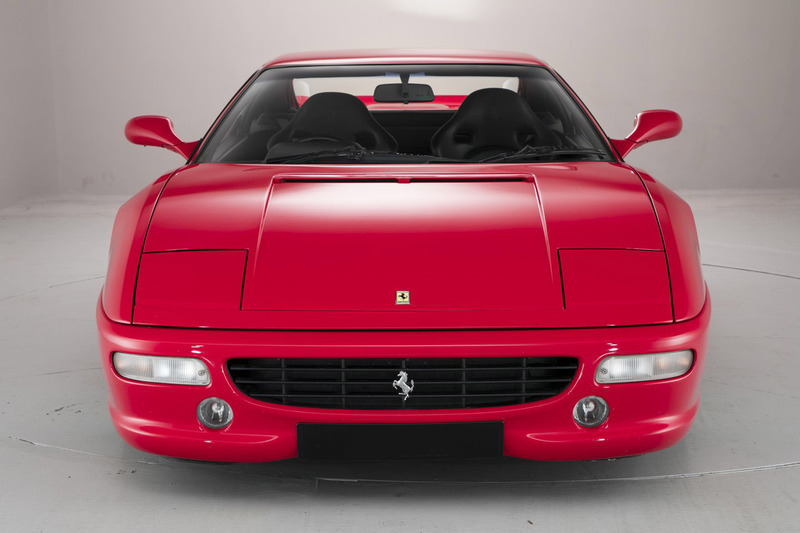 UK supplied by Mortimer Houghton Turner Ferrari, this low mileage vehicle has an excellent service history file and has been looked after by UK official Ferrari main agents and specialists. Lancaster Colchester Ferrari have completed a recent service and cam belt change. 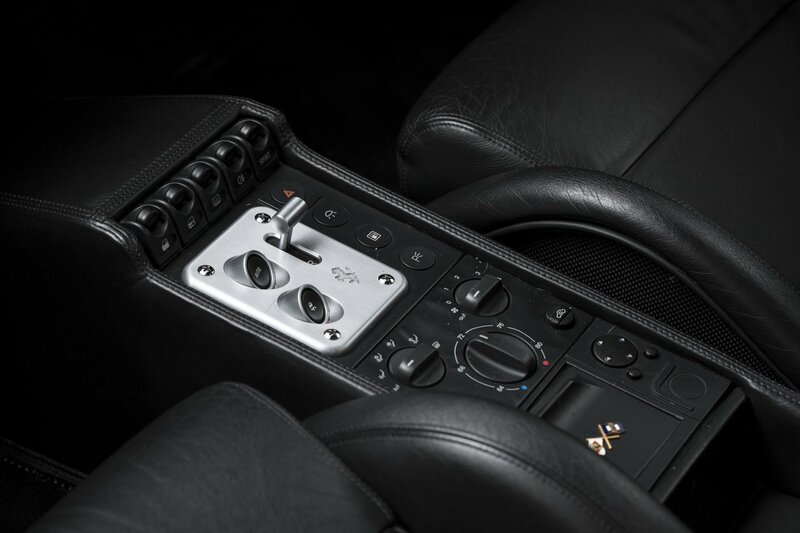 It will also be supplied with a comprehensive 12-month warranty.